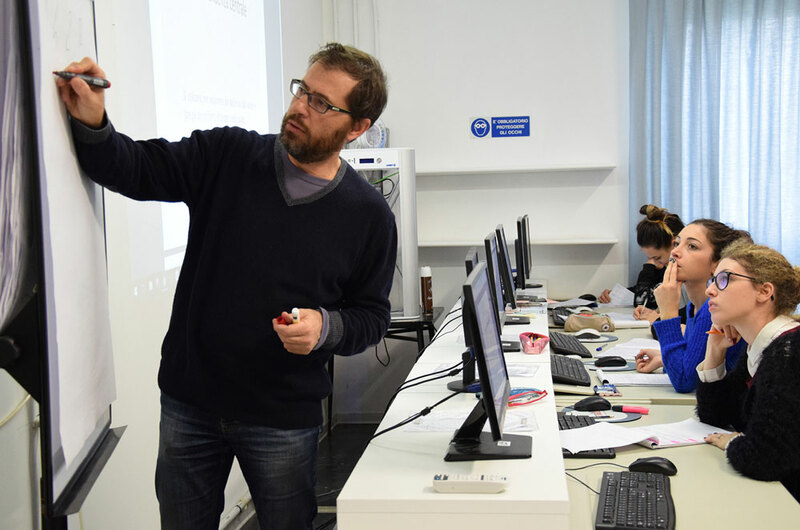 We offer all the students the possibility to use spacious classrooms and professional tools. 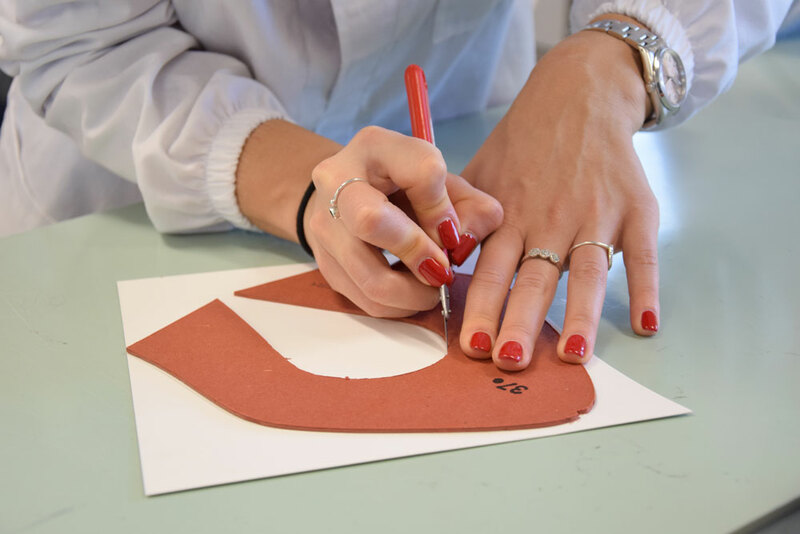 We recreate the same spaces where designers, pattern makers, and expert artisans in the leather and footwear industry work, in order to give the students the opportunity to learn by doing, and to have fun working with lasts, colors, materials, traditional techniques, and new technologies. 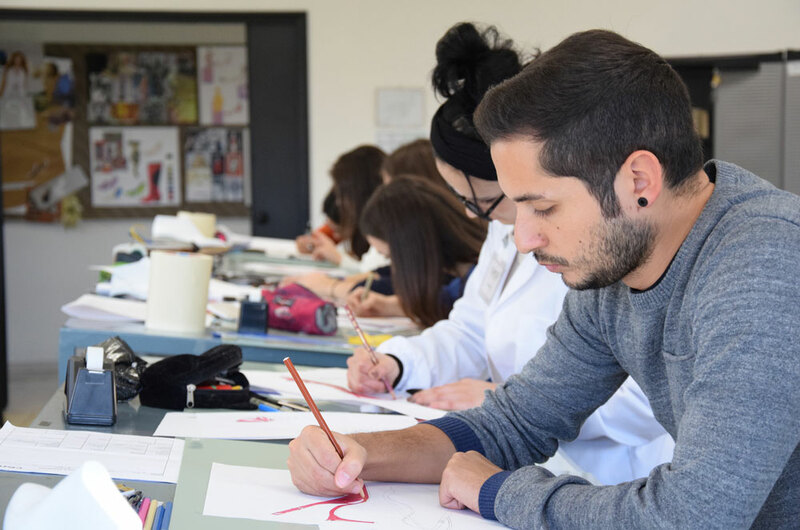 CERCAL classrooms are thought for providing both theoretical lessons and practical sessions that are essential to develop drawing proficiency, on a board and on a last, as well as manual pattern-making and cutting skills. The classrooms are equipped with pattern-maker tables, plastic lasts and all the necessary tools and equipment for this kind of vocational course. 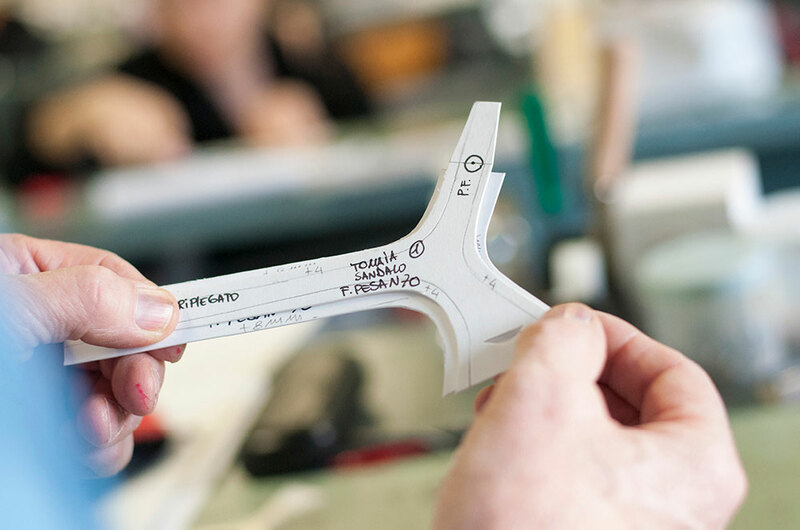 This is where our students come up with the manual design of the last, the soul of the shoe, the object that defines its style and how it fits. 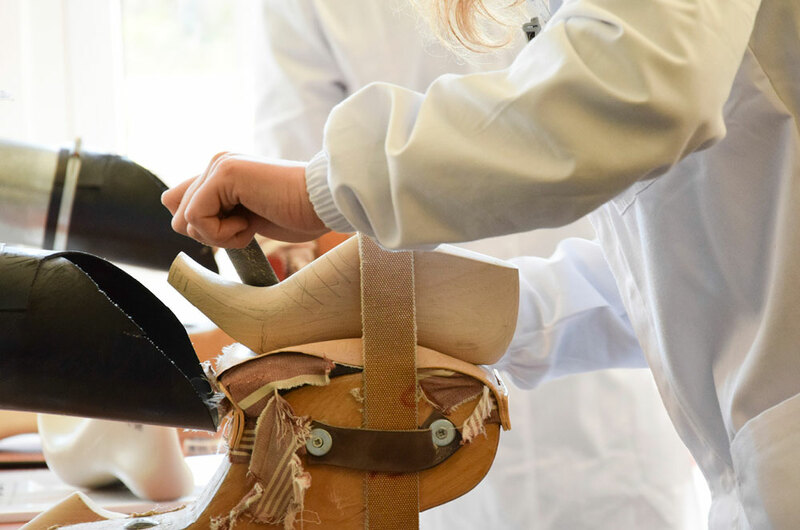 The students also acquire the design techniques of the heel and of the elements of the entire shoe. 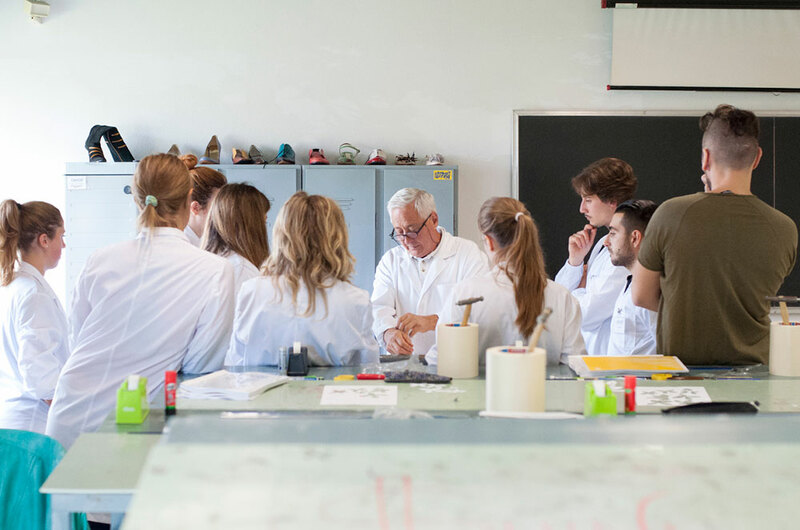 Under teacher supervision the students create prototypes of lasts made of wood and heels made of resin. 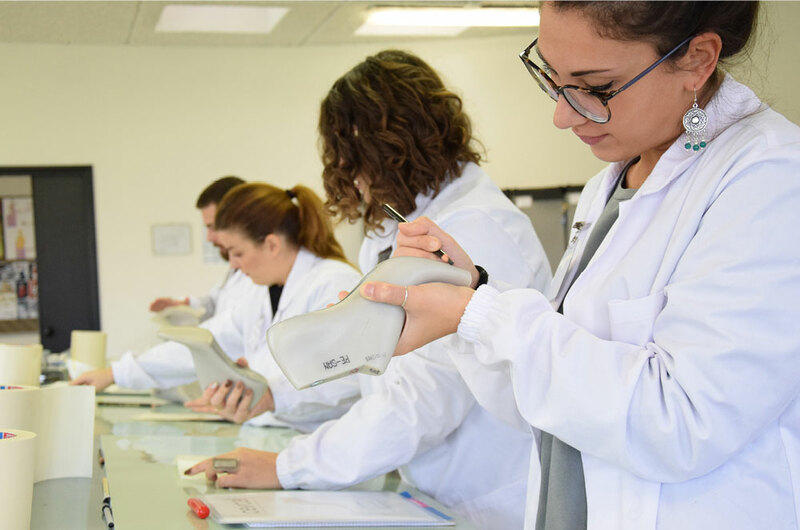 This is our mini-factory, where the students are shown how the prototypes of bags and footwear are realized, to better understand the productive process thanks to the teaching of expert technicians. 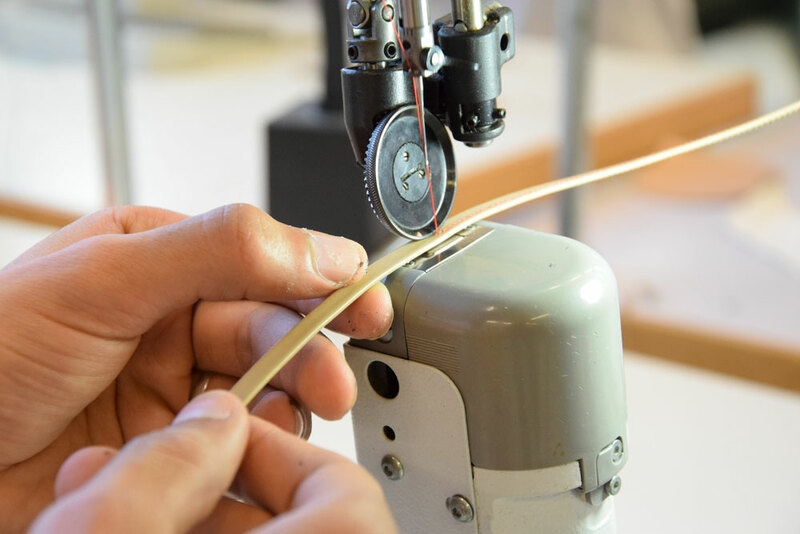 Here courses for manufacturing operators are held using methods of demonstration, testing, and practical activities and exercises that simulate company operation. 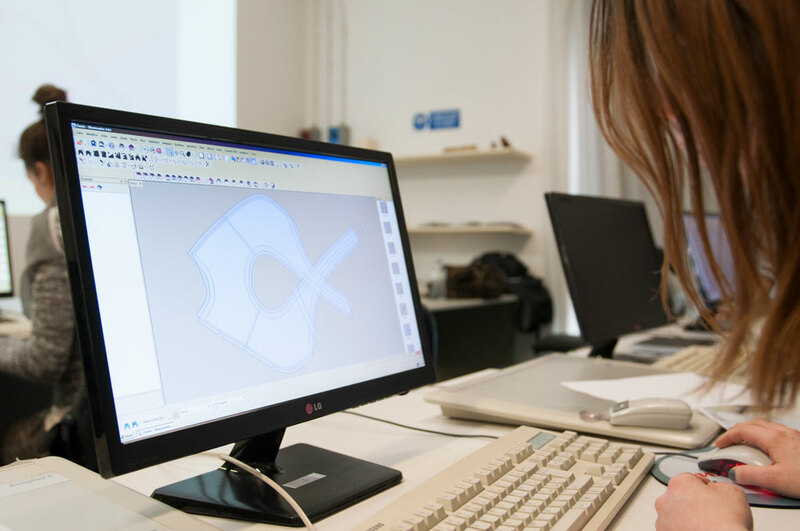 Here students learn to use software for the design and industrialization of footwear and its components and leather products. 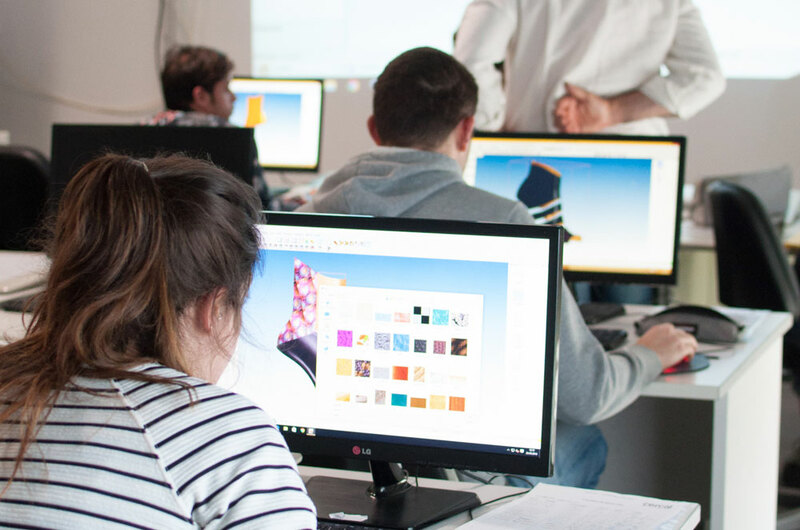 Students can use software for design, CAD, and 3D modelling used in the footwear sector, as well as drawing boards and a plotter. Students can also find a scanner for detecting three-dimensional objects and a 3D printer.